Authorities of the Polytechnic of Ibadan has released the Entrance Examination Results Out for 2018/2019 Session. Candidates that participated in the Polytechnic Ibadan (PolyIbadan) 2018/2019 Higher National Diploma (HND) screening exercise, that they can now check their results. The Poly Ibadan HND CBT entrance examination results have been successfully uploaded on the school website. Go to the Poly Ibadan admission portal at http://admission.polyibadan.edu.ng/prospect/. Locate and click on ‘Print Application Form’. 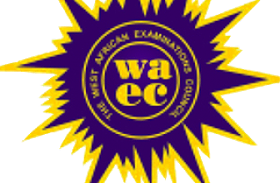 The post Polytechnic Ibadan 2018/19 HND Screening/ Entrance Exam Results Out appeared first on No 1 African Educational Blog, Ghana, Kenya, Nigeria, South African, Vacancy, Scholarship News.